Dear Redmi Note 5 Pro! Unlocking bootloader on the phone is never easy, but the does not mean it’s impossible. If you are finding solutions to unlock bootloader your Xiaomi Redmi Note 5 Pro, then this post will help you do this. Note: Before getting started, remember to back up all data on your phone to avoid unexpected issues. You can take advantage of the backup feature on your phone. Now, let’s start unlocking bootloader of Xiaomi Remi Note 5 Pro. Visit this link: http://en.miui.com/unlock/. From there, you can get your unlock permission from the Mi account you are using. I recommend you to use your mobile number than an email ID based on the account. When you receive a form, simply fill in all your details. Here, you will have to note the reason why you want to unlock bootloader of your phone. Try to be as original as possible. Otherwise, your application might be denied by them. After you submit the application (a few hours or days), you will receive a message, informing that your account is ready for unlocking. Visit the same link above, http://en.miui.com/unlock/, but this time, you will be given a link to download the MiFlash Tool. Now, you need to install Mi drivers. Right-click on the file and run it as Administrator. Now, access it by returning to Settings > Additional Settings > Developer Options. Next, sign in your MIUI account that matches with the same one you registered for unlocking. Also, insert the SIM card of the number that you’ve made MIUI ID with. On your computer, run MiFlash tool with the administrator. 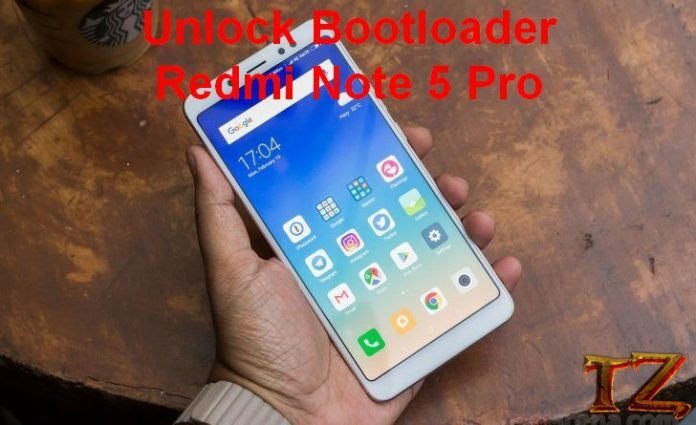 Enter your Mi account, and then the tool will then check if you have a permission to unlock bootloader your Redmi Note 5 Pro. If everything is fine, there will be instructions to boot your device into fastboot mode. Press Volume Down + Power buttons until your phone boots into the fastboot screen.